Get competitive quotes on outdoor advertising in Bristol! 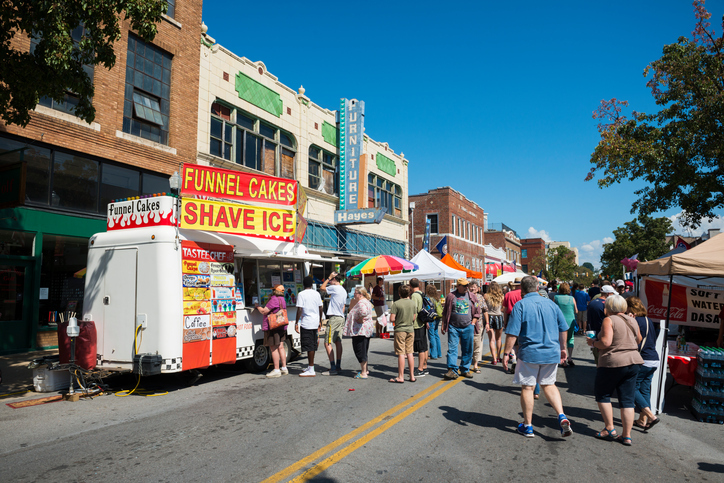 The Tennessee town lies directly on the state line of Tennessee and Virginia and provides advertisers with a wide variety of exciting outdoor advertising opportunities. The town is split so directly in half by state lines that if you were to advertise on State Street, you could advertise to people in the two states simultaneously. In addition to being a geographic landmark, Bristol is also home to the famous Bristol Motor Speedway. Lastly, Bristol is also known nationally as the “Birthplace of Country Music” due to the town’s impact on the evolution of the genre. Whether you want to advertise music lovers, NASCAR fanatics, or the nearly 27,000 Bristol natives that call the town home, an outdoor ad can help you do so. Check out the links below to learn more about other ad formats. Or go explore BillboardsIn’s massive OOH database and start planning a powerful outdoor campaign in Bristol today!